If you live in the Canadian province of Ontario, October of 2014 revolves around the campaigns by individuals to lead cities and towns. The 27-year-old Oakville, Ontario race car driver known as the mayor of Hinchtown has chosen to this month announce a substantial change to his devoted populus. After three seasons piloting a #27 machine for Andretti Autosport as part of the IndyCar Series, James Hinchcliffe has declared he will hop over to the Schmidt Peterson Motorsports organization for what will be a multi-year deal starting 2015. A popular driver not only in Canada but on the whole IndyCar scene, Hinchcliffe's move is definitely a major wave to be sent through the series. "To see what they have accomplished in the last few seasons has been incredible. Winning races, being competitive at all tracks and finishing in the top five in the championship against more experienced teams at this level is impressive. Because they are young, there is still room for them to grow and improve, and that's an exciting thought for me." said Hinchcliffe on the incentive for signing with the team co-owned by Sam Schmidt and Ric Peterson. In four seasons of IndyCar competition, James Hinchcliffe has driven for Newman/Haas Racing in 2011 and Andretti Autosport. Crowning achievement for the young Canadian time in IndyCar has consisted of the 2011 Rookie of the Year award and being named IndyCar's most popular driver in 2012. His 2013 season with Andretti Autosport driving the GoDaddy-sponsored Chevrolet-powered car is viewed as his more successful in the series so-far. All three career victories were scored in Hinchcliffe's 2013 IndyCar season. 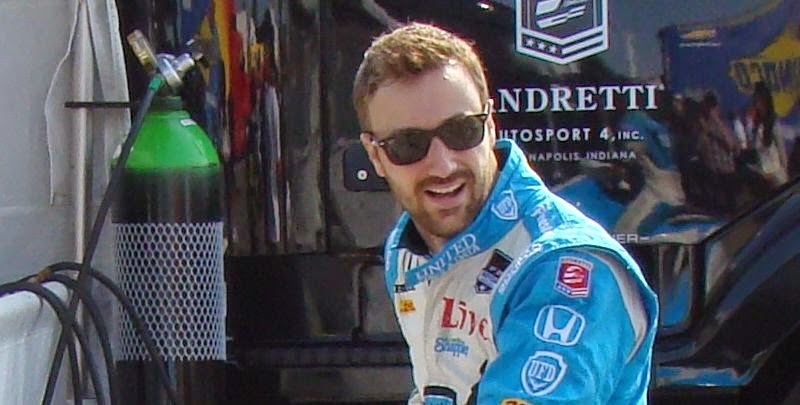 The 2014 season for James Hinchcliffe was a disappointment finishing 12th in the overall drivers standings. His top finish in competition last season was third at the Mid-Ohio Sports Car Course. 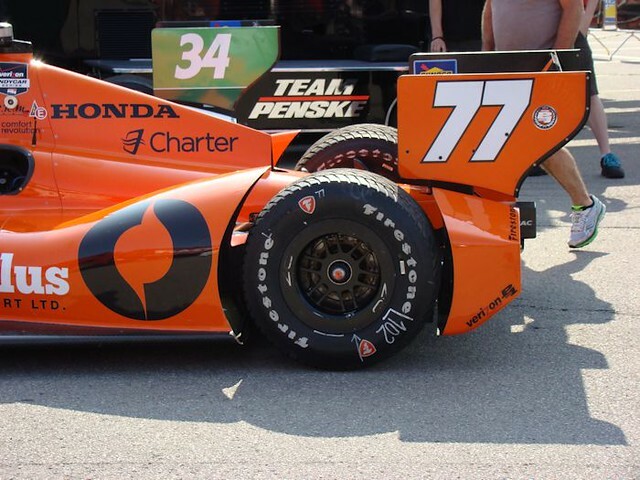 Starting in 2015, Hinchcliffe will be piloting the #77 car recently vacated by Simon Pagenaud (Pagenaud weeks ago signed a deal to drive for Team Penske for the upcoming IndyCar season). In 2014, the Schmidt Peterson Motorsports team found victory lane twice and driver Pagenaud to fifth in the overall points. Leaving Andretti Autosport, the career path for Hinchcliffe heading into 2015 is acquainting him with something new as well as something familiar. In 2009, James Hinchcliffe drove for Sam Schmidt's Indy Lights team finishing in the top-five in points that season. Speaking about the acquisition of the driving services of Hinchcliffe, Sam Schmidt recalled attempting to recruit him in 2011. Schmidt responded, "In fact, he would already be with us driving the No. 77 if he would have been available three years ago. We went after him in 2011, but it didn't work out then."